Get a comfy new cushion! V shaped for extra support. Extra-filled with 100% bounce back hollowfibres. Orthopaedic, ideal for those suffering neck and back pain. 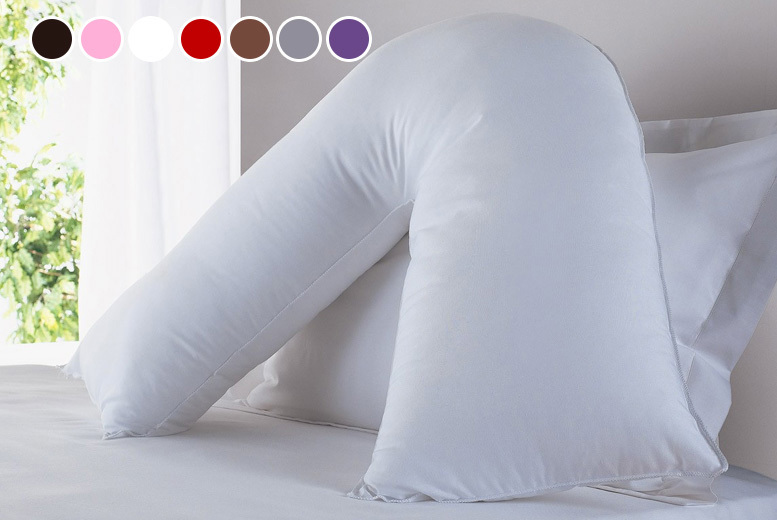 With an optional poly-cotton cover. In a choice of seven colours!